A mouth-watering offer of $5billion for the 23.5% shares of Kosmos in the Jubilee offshore project valued as at June this year at $4billion has been turned down by the directors of Texas-based Kosmos, Public Agenda has learned. The bid, said to have been put together jointly by the Ghana National Petroleum Corporation (GNPC) and the China National Offshore Oil Company (CNOOC) confirms earlier speculations of keen Chinese interest in Ghana’s petroleum industry, which is thought to be the main reason the Government of Ghana obstructed ExxonMobil’s earlier attempt at acquiring the stakes through a coveted but controversial deal with Kosmos. It is believed that Kosmos must be re-thinking its exit strategy and hopes to obtain much more for its shares with recent promising discoveries within exploration fields. The company is said to be awaiting appraisal results of these discoveries to be able to re-assess the market value of its stake in the project. The Wall Street Journal is reported to have quoted Fadel Gheit, an analyst at Oppenheimer Research, as observing that Kosmos is in a difficult situation because even if the company has other potential buyers willing to pay more for its assets, Ghana’s government and China, a major economically, will keep applying pressure to have the first option on the deal. In October 2009, Public Agenda reported that the question of who buys Kosmos Energy’s stake in Ghana’s Jubilee Field won’t be answered for a little while as the jostling for the shares, valued at the time between US$3.1BN and US$3.7 BN assumed new twists and turns by the day. Industry watchers were said to have described the ever changing dynamics around Kosmos’ attempt to offload its shares as largely influenced by Chinese and American interests in Ghana’s black gold. The clash of interests, Public Agenda noted, comes in the wake of a reported global decline of oil production. The story disclosed that, a study conducted by the U.K. Energy Research Centre and published in the preceding month had indicated that global production of oil could peak and decline by 2020. The report, according to the paper, observed that already, 10 of the largest oil producing fields in the world are all on decline. It is against this backdrop and also against the persistent turbulence in the Gulf region that Ghana has drawn a great deal of international attention to its recent discoveries. 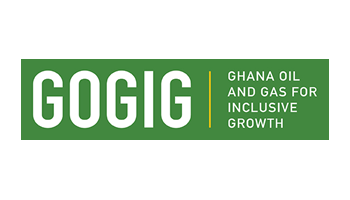 Ghana’s desire to increase its stake in the Jubilee Field, by acquiring and trading-on Kosmos’ stake for profit, and using the profit to finance its additional shares in the project, aims at making the country an active player in the exploitation of its hydrocarbon potential. Under a presidential directive, GNPC is said to have acquired an additional 3% optional stake in Jubilee, bringing GNPC’s total interest in the project to 13%. Kosmos’ earlier decision to exit out of the project presented an opportunity for Ghana to increase its interest but was botched by non-relenting Kosmos who for reasons best known to it, insisted on selling to ExxonMobil. Ghana’s objection to the Kosmos-ExxonMobil deal was on the grounds that the Government and people of Ghana reserve the right of first refusal as major partners in Jubilee, and as is normal business practice but Kosmos maintained that it had not violated any law by its action. Indeed, the right of first refusal does not appear to have been explicitly stated in the operational law PNDCL 84 which governed Kosmos’ contract at the time. This apparent oversight in the law, is now taken care of in the draft Petroleum Exploration and Production Bill, currently before parliament. The Wall Street Journal cites Subash Chandra, analyst with Jefferies & Co to the effect that, the disclosure of the failed GNPC-Cnooc bid could be a strategic move to pressure Kosmos into selling. "They are putting under the sunlight that there is a credible bid that is even higher than the one Kosmos had from Exxon," Subash is reported as saying. "Everyone knows now that there is a deal on the table."